I did not attend kindergarten but somehow, I still managed to finish school. Here is one clear instance why personal stories or anecdotes are not useful in formulating an education policy that will be applied to all. My own experience is not expected to be true, perhaps, for the majority. Compulsory early childhood education must be based on data that focus clearly on how kindergarten affects basic education. Early childhood education is meant to prepare for the elementary years. Lack of preparation manifests as learning gaps right at the first year of formal schooling. From the teacher's perspective, a lack of a uniform preschool experience among the pupils already results in a wide distribution of skills among first grade students. This diversity already poses a challenge as a teacher needs to address not only the fast learners, those who have had a good background, but more importantly, children who seem to be falling behind right at the beginning of the school year. 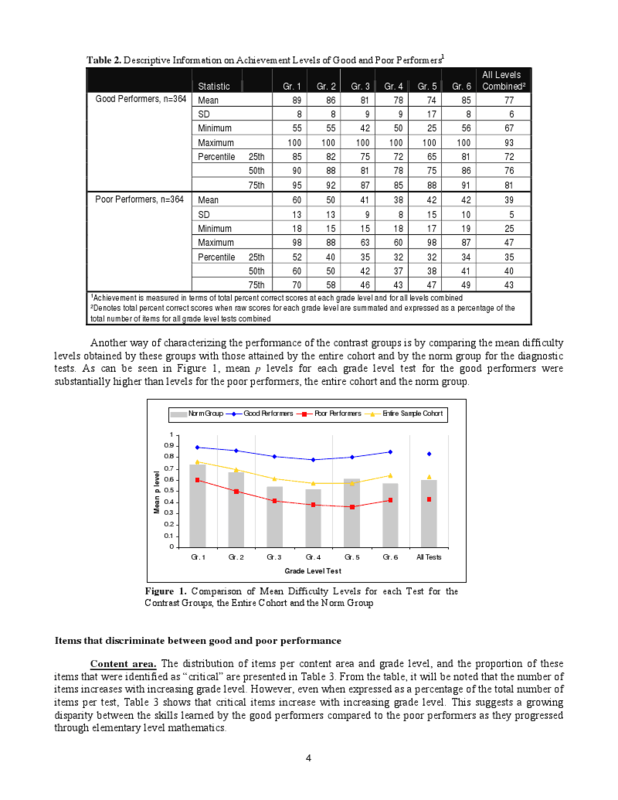 This learning gap, the difference between good and poor performing students, only widens through the next years of grade school. Center for Educational Measurement, Inc. ...The single most important goal of the Head Start reauthorization should be to improve Head Start and other preschool programs to ensure children are prepared to succeed in school. This paper describes the limited educational progress for children in Head Start and the problems resulting from a fragmented approach to early childhood programs and services. The paper also presents evidence from early childhood research and documents state efforts that have successfully addressed these problems. Finally, the paper explains the President’s proposal for Head Start reauthorization, which builds on the evidence to strengthen the program and, through coordination, improve preschool programs in general to help ensure that children are prepared to succeed in school...."
This report is useful as it underscores the importance of doing early childhood education correctly. The mere existence of pre-school programs does not guarantee improvements in learning outcomes. Head Start is not simply daycare. 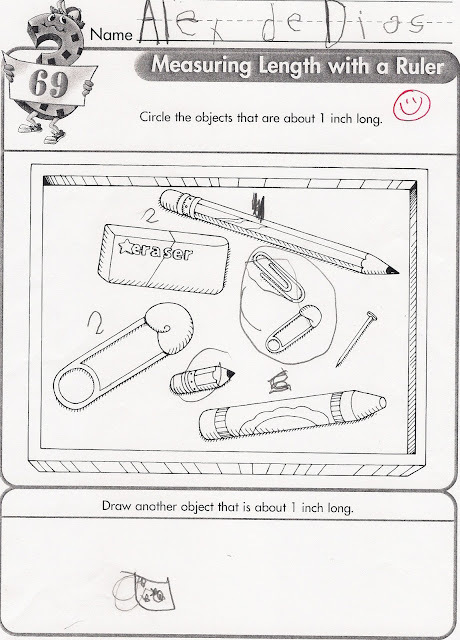 From these, it is obvious that the Philippines must take kindergarten seriously. With poor implementation, kindergarten will just be a huge waste of time and resources. 4:00-6:30 pm Choice Centers/Group Games/free exploration while parents arrive. My son is currently attending kindergarten. 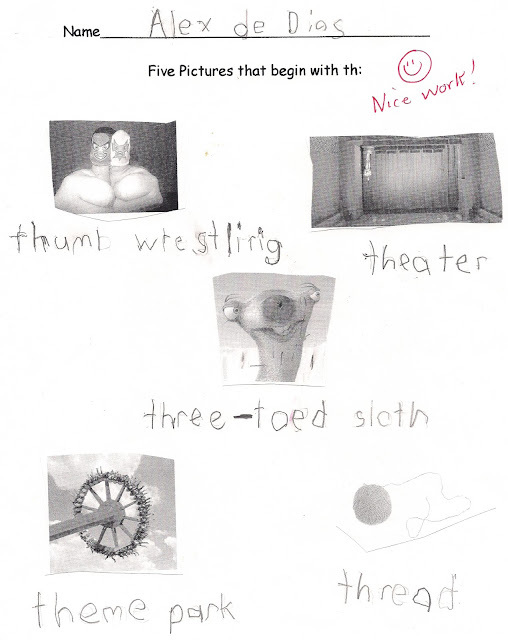 The following are examples of his activities ﻿in school. 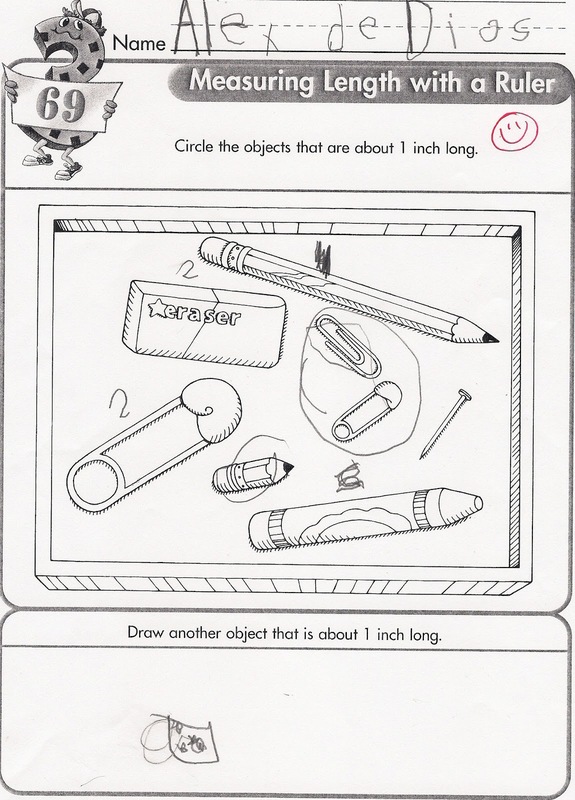 Kindergarten students are exposed to measurements. Science is a formal subject and my son, like all the kids in his class, enjoys science. 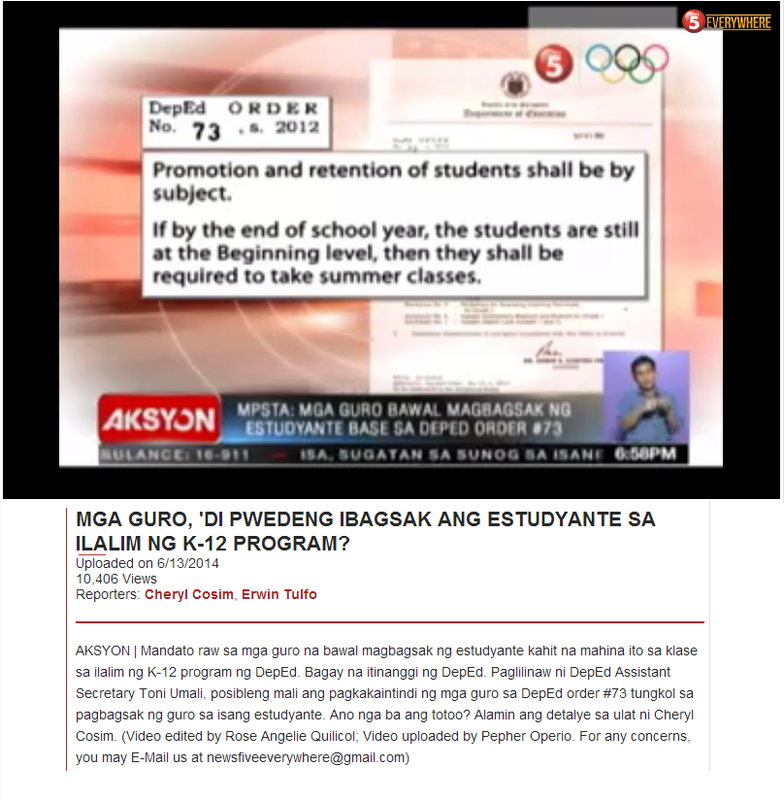 The kindergarten program of DepEd's K to 12 is obviously a work in progress. The present learning gap at first grade is huge. Although not completely guaranteed, one may hypothesize that if the gap in first grade is reduced, the learning gap at the end of elementary school maybe made smaller. But this will not happen without a good and serious implementation of kindergarten. There is plenty of room for improvement to be achieved in Philippine kindergarten education. Unfortunately, a nonconservative and gigantic DepEd K to 12 reform does not provide the Philippine government the resources, attention and manpower it needs to establish a decent kindergarten year for all Filipino children. 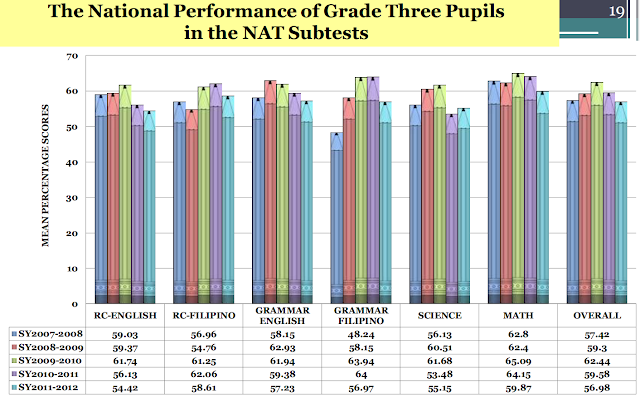 Unfortunately, the learning gaps in Year 1 cannot be addressed in Years 11 and 12 of DepEd's K to 12. “This is how the DepEd implements K-12 program of P-Noy, an honorarium of P3000 which is always delayed.” Said Emmalyn Policarpio a teacher of Valenzuela City and the group’s Spokesperson. The national monitoring made by the TDC revealed that almost all the teachers under the kindergarten program have not been paid since June 2011 and still, some teachers who served in the summer kinder program have yet to receive their compensation. The group said that this only shows the government’s unpreparedness for the ambitious K-12 program or the 12-year basic education program which features the kindergarten in its initial phase of implementation. “We appreciate the effort of the DepEd especially Sec. Armin A. Luistro to institutionalize the kindergarten program, but never at the expense of the welfare of our teachers.” Added Policarpio. The TDC has been lobbying for a free and universal pre-school education which according to them would eventually resolve learning discrepancies among pupils, one of the major reasons for kids in dropping out from the primary school. “If the government is sincere enough to reform and improve the public education system, it should have been manifested in the education budget for the 2012. Unfortunately, the government only set aside P1.9 billion allocation for pre-school program of the DepEd.” Policarpio furthered. TDC members last week troop to the House of Representatives to lobby for a higher budget for education and an allocation of enough funds to cover the shortages in teachers, classrooms and books among others. They challenge the legislature and the president to raise the socio-economic status of teachers by providing decent salary and other incentives for them. “While we appreciate the president’s recognition of teachers thru his proclamation of national teachers’ month, we challenge him to do more tangible and concrete measures to improve the system.” Policarpio ended. Want to be the best parent in the world? Just visit GreatMoms to find out every parent's secret. Preschool, Kindergarten and Before and After School Childcare Programs from 6:00am to 6:45pm.